You’ll be warmly welcomed, help is on its way! New Practice Member often remark how “homey” our office is. 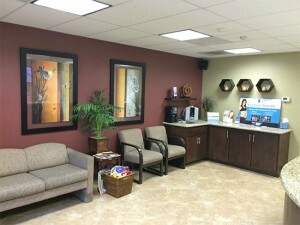 That’s good, because our goal is to offer state-of-the-art chiropractic care in a comfortable surrounding. You’ll find plenty of convenient parking and a well-lit parking lot. You’ll be greeted by name when you enter our office and given a short tour to get you acquainted with our facilities. If you need to wait a few minutes before being seen, sit down and enjoy reading one of our many health magazines or computer screens. Practice Member appreciate that we explain everything in advance!